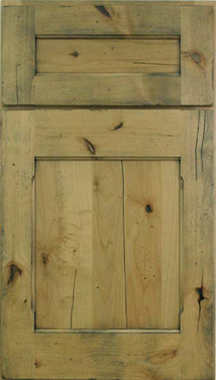 Distressed treatment is achieved by randomly distressing the wood with dents before finishing. 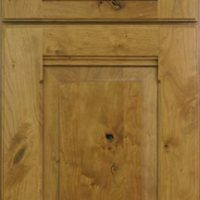 Distressing is more pronounced in woods with less density. 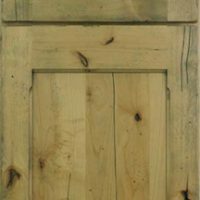 Worm Holes are achieved by randomly marking the wood with small pin holes. 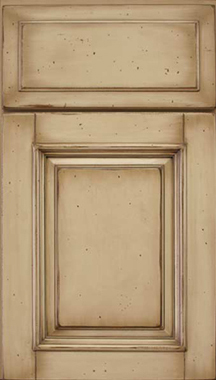 Pin holes are scattered and grouped to give a natural, rustic look. 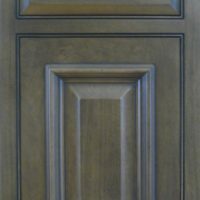 Dry Brush is a process completed after sand through or surface wearing. 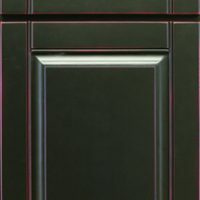 It is done with a dark color glaze and a brush. 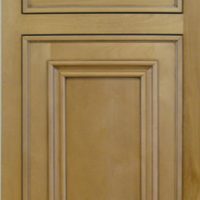 The process is applied to the door and drawer front edges, as well as randomly applied across the face to achieve a slight brush look. 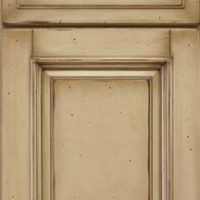 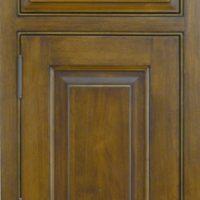 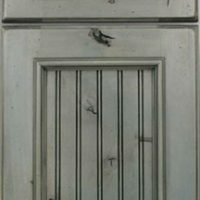 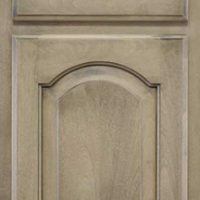 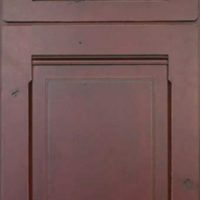 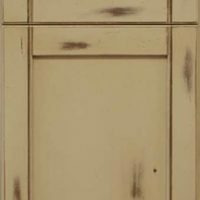 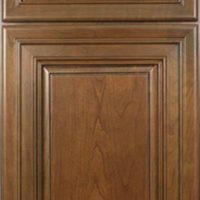 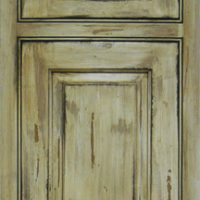 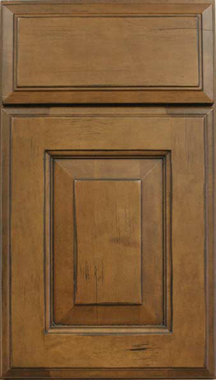 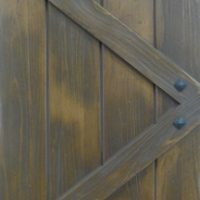 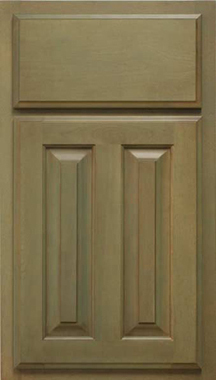 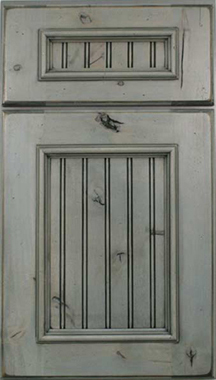 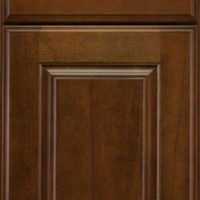 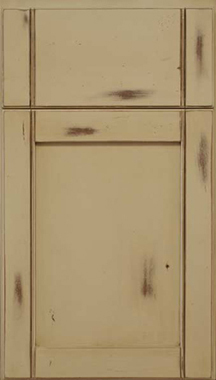 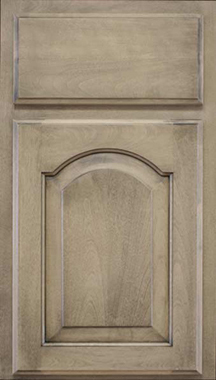 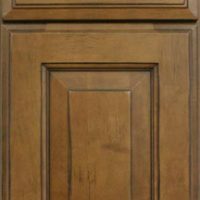 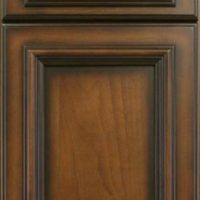 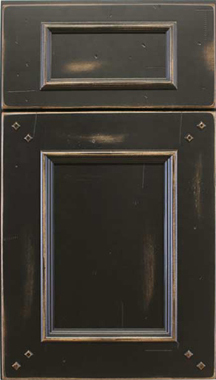 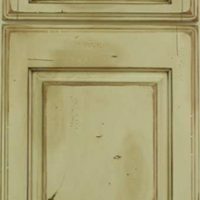 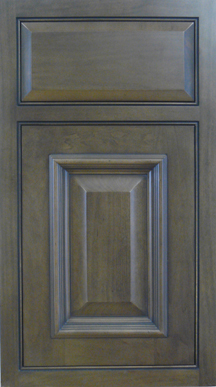 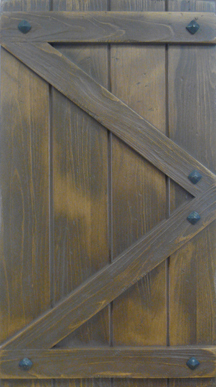 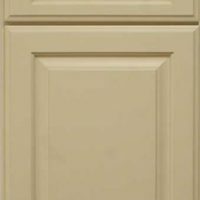 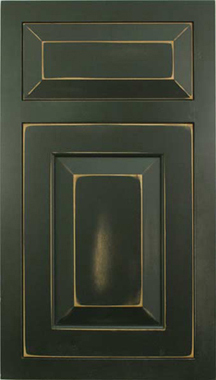 Weathering is a process that creates a 3 dimensional look to the face of the door or drawer front. 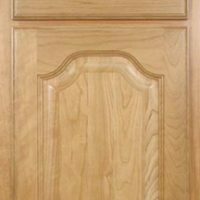 The soft grain is removed enhancing the growth rings of the wood. 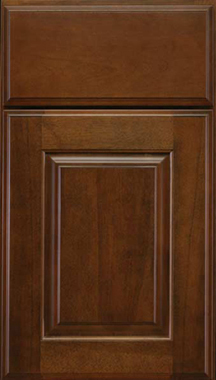 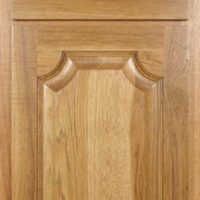 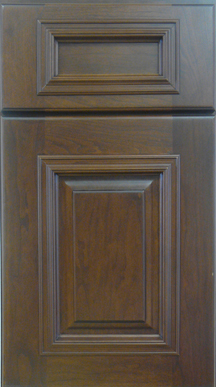 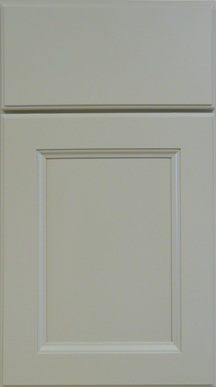 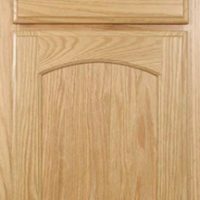 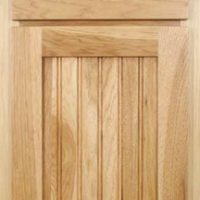 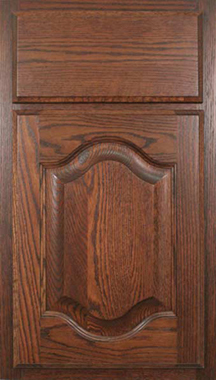 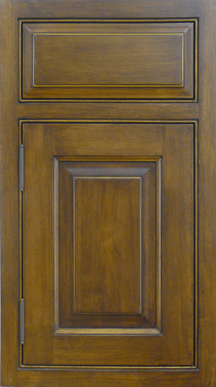 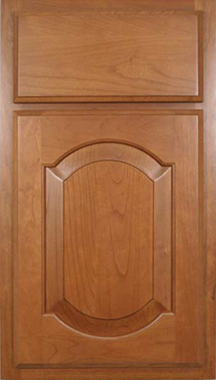 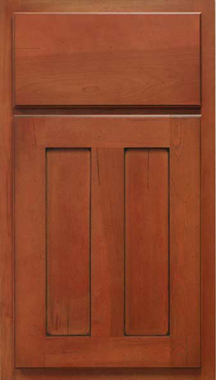 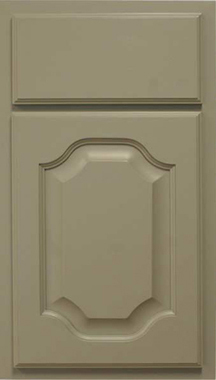 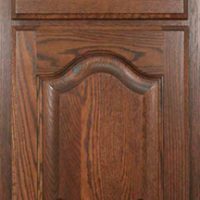 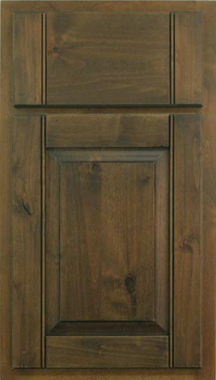 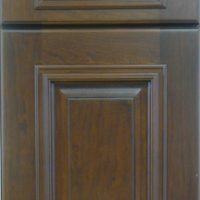 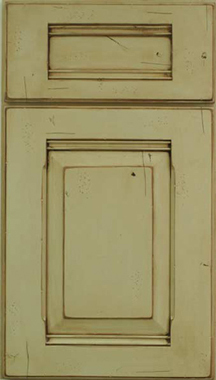 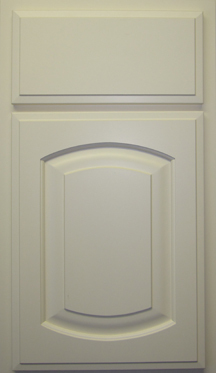 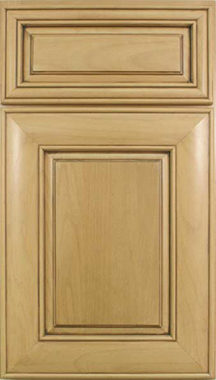 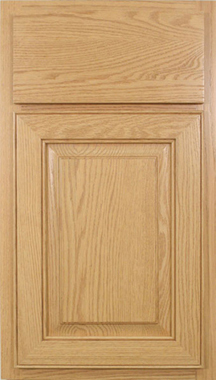 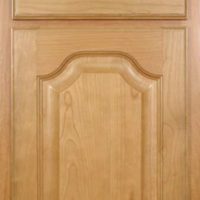 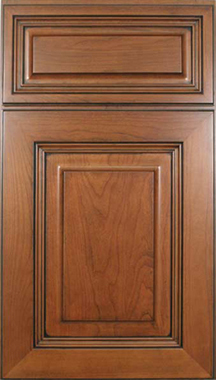 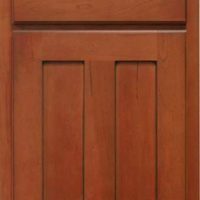 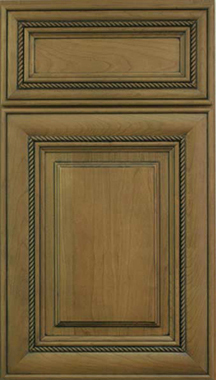 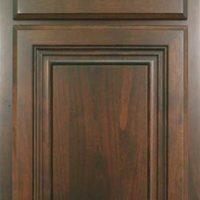 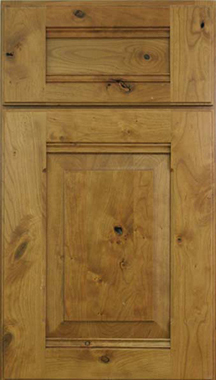 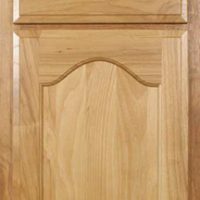 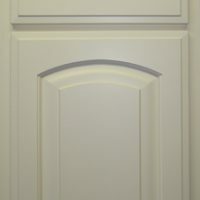 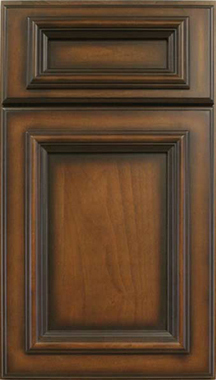 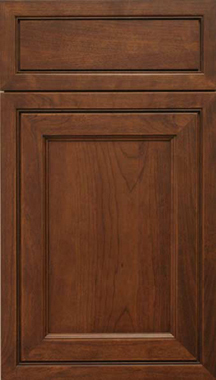 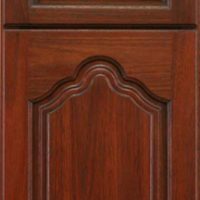 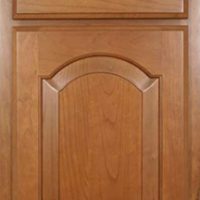 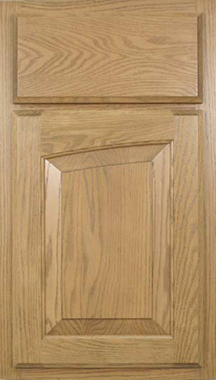 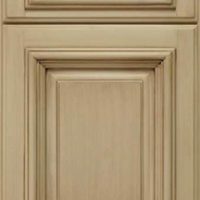 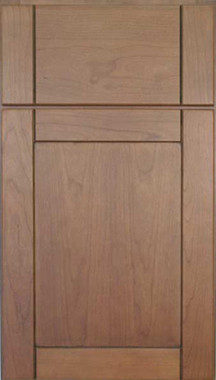 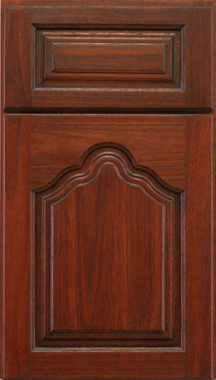 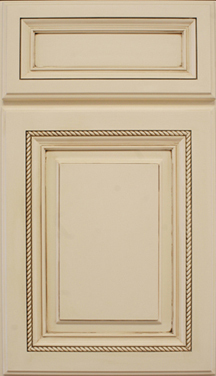 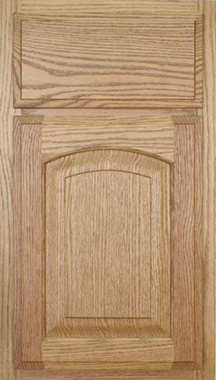 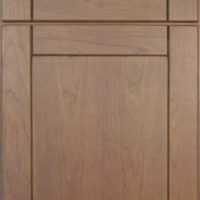 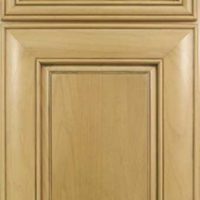 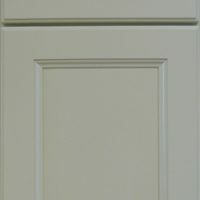 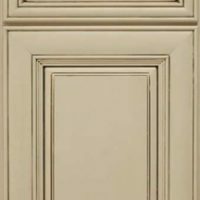 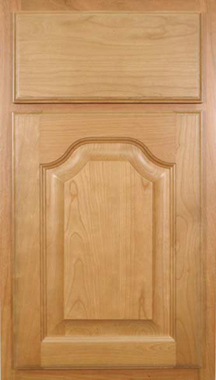 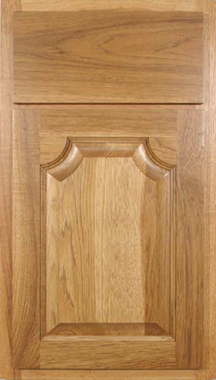 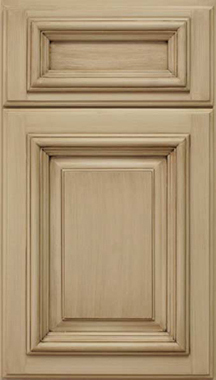 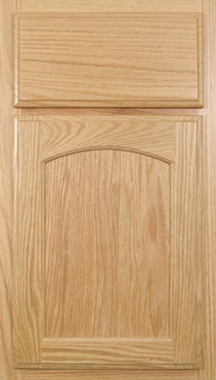 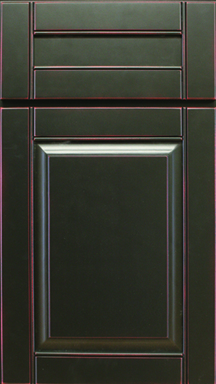 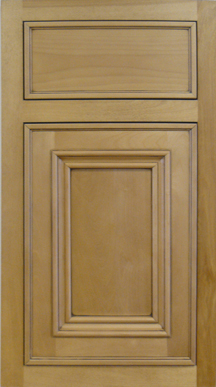 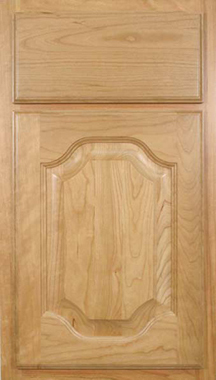 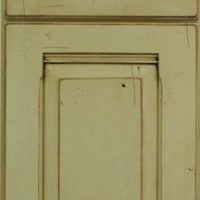 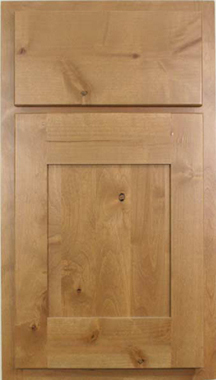 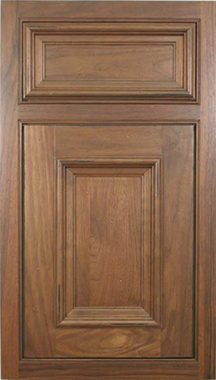 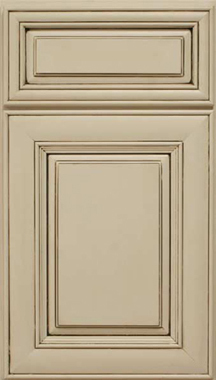 Gouging is the process of applying random dips in door or drawer front profiles giving a “jagged” appearance. 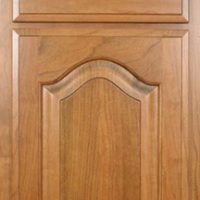 These jagged dips are achieved with a chisel and can be up to 1/4″ deep. 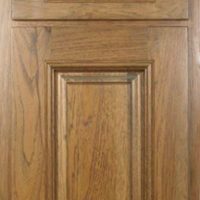 Sand through is achieved by lightly sanding the edges after the finish color is applied, creating highlight burns to expose the natural wood. 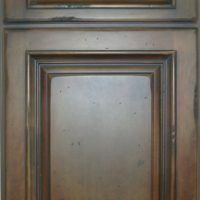 The wear through process is protected with a clear topcoat. 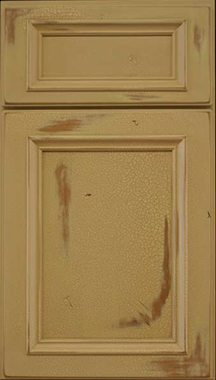 Full crackle is a process done after staining or base color paint is applied. 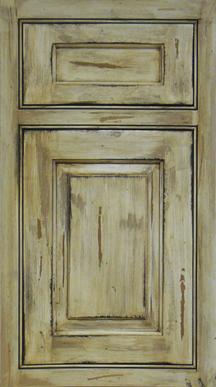 Full crackle is applied to entire part. 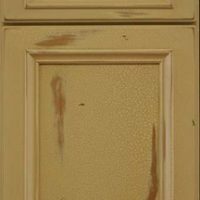 Glaze is then applied over the crackle to highlight. 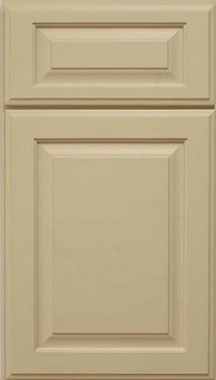 Top coat is then applied to entire part. 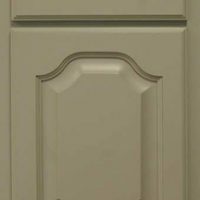 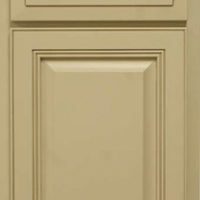 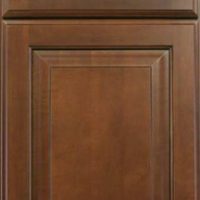 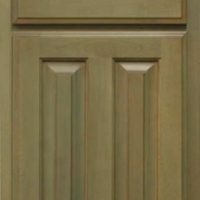 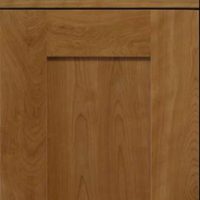 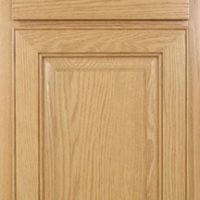 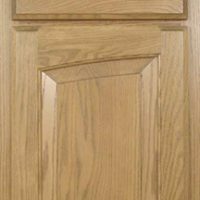 Breakway is achieved by applying a product to small areas of the door or drawer front before the finish, inhibiting the adhesion of the finish in those areas, causing the breakaway effect. 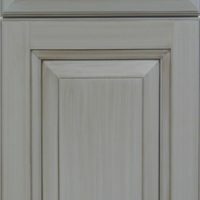 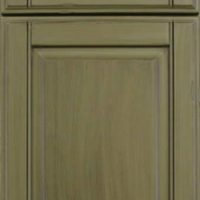 Hued is a process creating random dips in door or drawer front profiles, then softened by sanding. 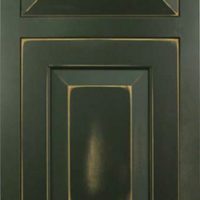 This process resembles the oversanding technique, but more aggressive. 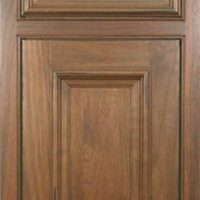 Wearing is achieved after the wood is finished with a finish color and seal coat. 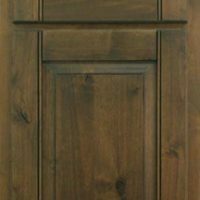 The wood surface is lightly sanded, creating random wear through of the finish color exposing the natural wood. 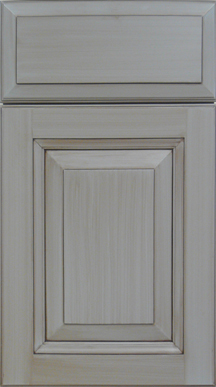 The wear through process is protected with a clear top coat. 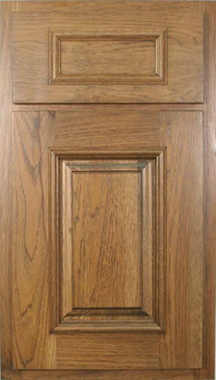 Oversanding is a process done prior to staining or base color paint is applied. 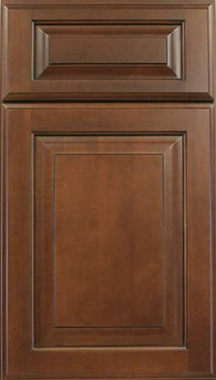 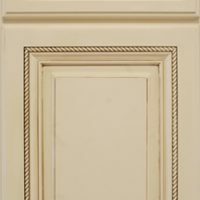 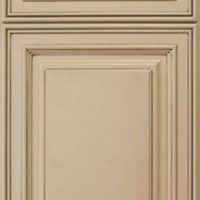 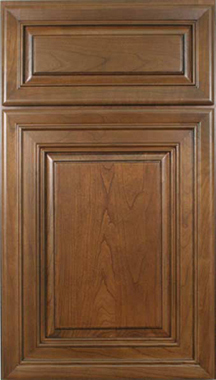 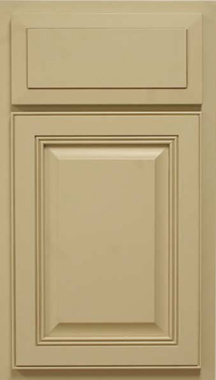 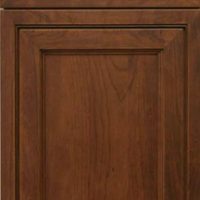 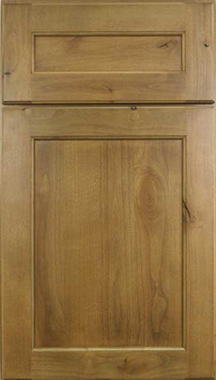 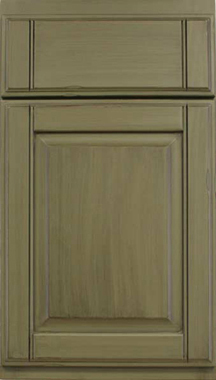 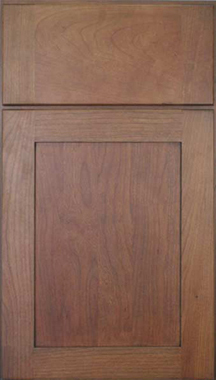 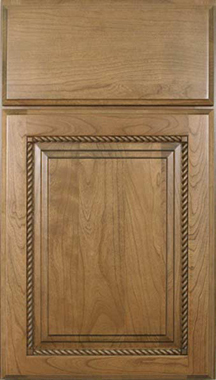 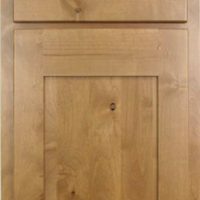 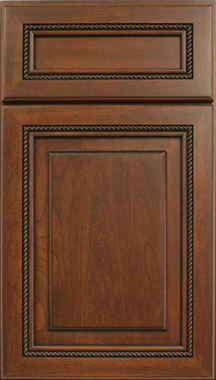 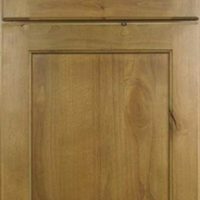 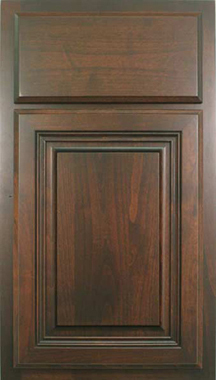 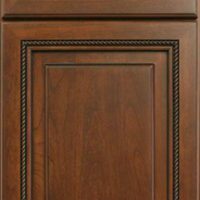 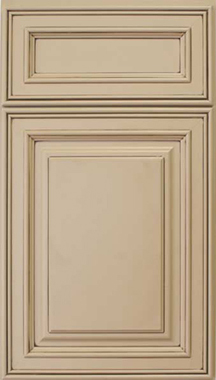 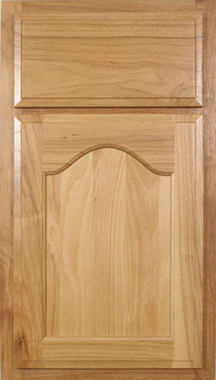 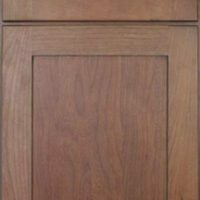 Oversanding is applied to outside edges of door or drawer front and to the edges of the raised center panel. 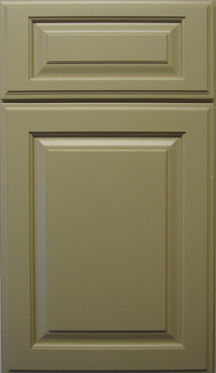 Color undertone is an accent color applied beneath the finish color. 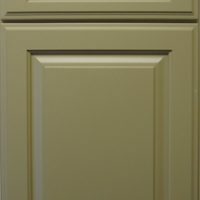 This accent color is revealed thru the sand thru or wearing process. 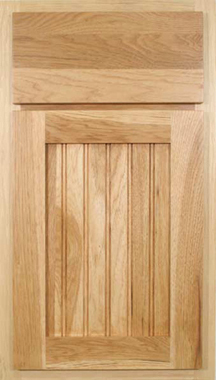 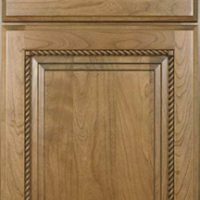 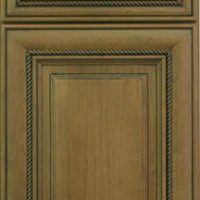 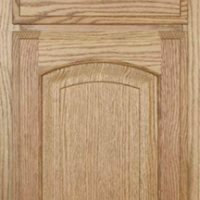 Chisel marks are random small cross and end grain cuts done on the profiled edges of the door or drawer front. 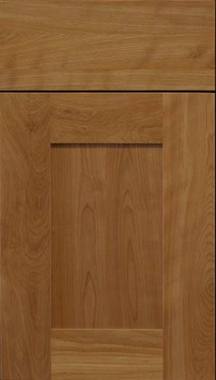 Lag bolts are small uniform indentations in the wood. 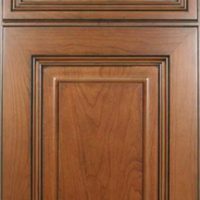 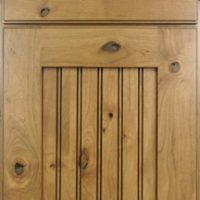 This process is applied to the surface of the wood prior to finish. 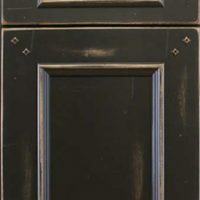 Peppering is available in brown or black. 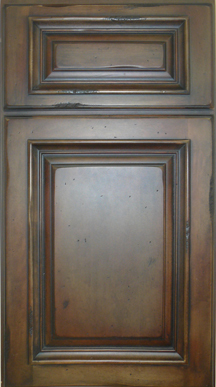 After the sealer coat has been applied, the surface is randomly splattered. 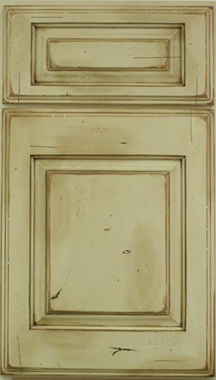 The density of the peppering will vary from order to order. 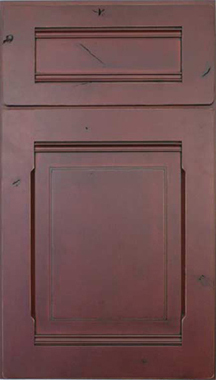 (EX: SP-BR or SP-BL). 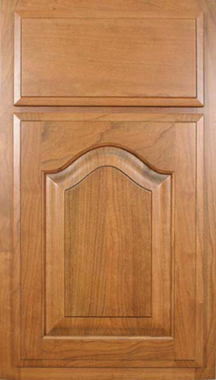 Rasping is a process done before and/or during the finish process using a coarse rasp creating narrow grooves. 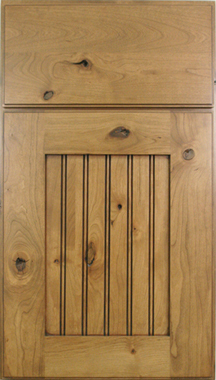 Halo is the process of darkening the edges of the door or drawer front creating a “halo” effect.